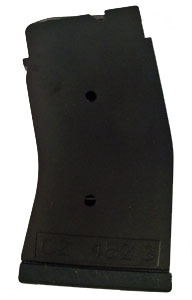 This is a genuine brand new CZ plastic magazine. Fits CZ model 452 and 453 in calibres .17HMR and .22WMR only. Does not fit CZ model 455. Product code: Magazine-58B10. Clearance item hence price. Only five available.